First reported by MacRumors, Apple seems to be teasing the arrival of new iWork for iCloud apps on iCloud.com in advance of its Tuesday special media event. 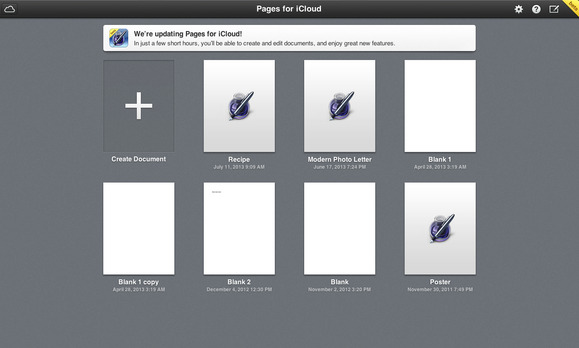 Apple's iWork for iCloud service has been in beta since 2013’s Worldwide Developers Conference, but the online version of the software more resembled iWork ’09 and the skeuomorphic iWork apps rather than the clean look of iOS 7. Also predicted to make an appearance at Tuesday’s event are iOS 7-friendly updates to the iLife suite, including possible improvements to iBooks. Not much waiting time left now—the event will be live-streamed at 10 a.m. PT/1 p.m. ET via Apple’s website and we’ll be providing live text and photography coverage on Macworld.com.